This weekend’s nor’easter (bomb cyclone to some) rocked communities across the eastern seaboard. The Federal government closed on Friday, hundreds of thousands of people lost power, and Maryland Governor Larry Hogan declared a state of emergency in Maryland. We’d like to offer our well wishes to all affected by the storm; you’re in our thoughts. Though the storm did not come with much precipitation, we did experience intense wind gusts. These storm winds clocked in around 60 MPH, which is comparable to a tropical storm! Ferocious winds like these produced downed power lines, broken tree limbs on our roads, highways and bridges along with storm surge flooding on our coasts were just some of the damage reported. Siding:Are there sections of your siding that are loosened, damaged or missing? Gutters:Are your gutters still firmly attached to your roof? Doors:Did you notice a draft through your doors? Is daylight visible through the door frame? Roofing:Are you missing shingles? Are there signs of more obvious damage (like broken tree limbs)? Windows:Did you notice a draft coming through your windows? Moisture? Is daylight visible around the window casing? Is there obvious damage (like broke panes)? 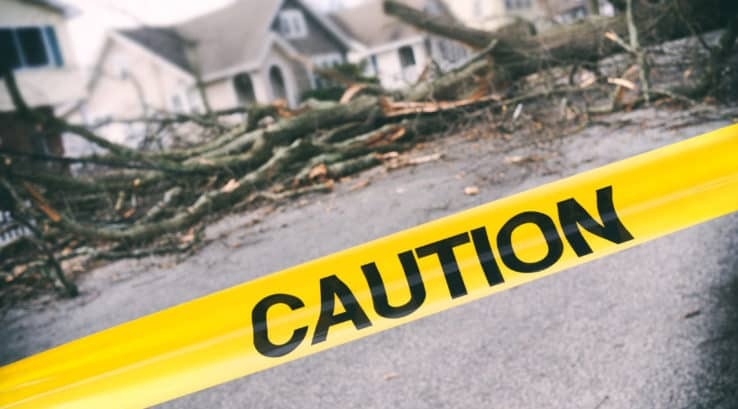 If your home sustained any damage from Friday’s Nor’easter, Thompson Creek is here to help! Our home exterior products are designed for the worst that mother nature has to offer. Our windows have a wind load of 153 MPH, which is comparable to a category 4 hurricane! We offer an extensive range of gutter systems, roofing options and storm doors to help replace any damaged ones.